Brand valuation is a domain of branding that is marred by inconsistencies and controversies. Every year, respected global publications come out with rankings of top brands in the world by their intangible assets (brand) valuation. Almost every year, after these rankings are made public, debates arise as to why the rankings of the top brands differ in the different publications and why their valuations also differ. This phenomenon characterises the complex nature of brand valuation as a subject and the differences in the existing valuation methodologies that add to this complexity. Regardless of the controversy and the innumerable debates brand valuation based rankings create every year, it is still an important aspect of branding. Increasingly, valuation is gaining importance in the corporate world as organisations increasingly try to put a financial number to their most important intangible assets, the brands. Brand valuation is a strategic link between strategy, marketing and finance. It provides perspectives and insights on marketing ROI and its impact on the intangible asset base of an organisation. Strategic brand management, in which ROI, revenues and profitability play a crucial role, becomes more effective when valuation is integral to the process. Recognition of brand valuation as a strategic tool has led to the emergence of numerous valuation approaches over the years. This is an encouraging development from the point of view that the domain now has serious recognition among brand practitioners, marketers, business leaders and regulators/authorities. On the other hand, the alarming fact is that the existence of numerous valuation approaches has created complexity and has caused confusion among brand owners and other stakeholders. Financial analysis: The first step identifies and predicts revenues from intangibles related to individual brands or the entire brand portfolio. The analysis can be divided into segments like types of customers, distribution channels or markets. The intangible earnings then subtract operating costs, a charge for capital employed and taxes. This method is similar to the net Economic Value Added (EVA), which represents the cash flow from an opportunity adjusted for the cost of resources used to generate the cash flow. Brand contribution: The second step is to assess how much the brand contributes to demand, thereby measuring what the brand contributes above other intangible earnings. Association and preference metrics are the most common factors for determining the proportion of intangible earnings related to the brand. Brand earnings are calculated by multiplying the brand contribution (for example as a percentage or an index factor) by the intangible earnings from the financial analysis. Brand value: The final step is to calculate the net present value of the expected earnings discounted by a rate which best reflects the risk of the future earnings. The discount rate takes into consideration the strength of the brand. In principle, strong brand equity can accelerate and enhance cash flow and can lead to less volatile and vulnerable cash flow. Since the brand is expected to generate earnings after the periods that can be reliably predicted, an annuity component should also be added to reflect the continuing long-term earnings after the forecast period, which is typically 5 years. In addition to global consultancy Interbrand, there are other consultancies that offer brand valuation as an offering. Some of the other notable names in this domain are Brand Finance, FutureBrand and Millward Brown Optimor. Stock market performance: There is a definite linkage between branding, brand equity and shareholder value creation. One definitive metric of illustrating and showcasing brand strength is through valuation. Leading strategic management consultancies like McKinsey & Company, Bain and BCG have outlined in multiple articles the fact that strong brands outperforming the market on several financial dimensions. Measures of risk determined by volatility and vulnerability of cash flows compared to the market average are also lower for organizations with strong brand portfolios. Improved financial ratios: The impact of brand performance on financial ratios is significant. More importantly, strong brands demonstrate greater return on equity. Profitability ratios, such as gross profit margin, operating profit margin, net profit margin and return on equity all indicate higher overall performance and greater efficiency in managing assets and liabilities. The increased focus on brand valuation and its impact on company success have fostered a new important link between the CEO, CFO and the Chief Marketing Officer (CMO) as part of important strategic discussions in the boardroom. Comprehensive measure: A brand value, regardless of the approach by which it has been calculated, is an organizational level measure and is a number that represents the outcome of all brand building efforts. These implications are strong indicators that brand valuation is increasingly helping in making brand management and brand building activities consistent within the organization and also across markets (when the brand in question is global). 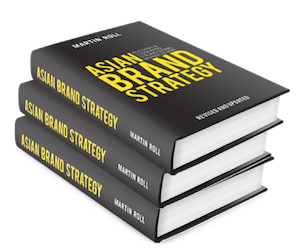 It has also influenced the approach of brand building practiced by managers. More coordination with finance is leading to more sharing of information between marketing and finance, which in turn is positively influencing the ability to meet shareholder goals of revenue and profit maximization. The future of brand valuation as a body of practice looks bright and healthy. The increase in the sophistication of valuation of techniques on offer, better academic-corporate cooperation, the emergence of standards (e.g. ISO 10668), higher levels of interest among brand owners and also the application of brand valuation in a wide array of situations has made the practice more relevant, practical and integral to organization’s business processes. The primary challenge for the brand valuation practice is to reduce complexity and increasingly move towards global, industry level standards. The wide array of brand valuation models on offer need to be harmonized so that brand owners are knowledgeable about what they are buying into. Financial valuation of brands is a strategic endeavour and each and every step of that process needs to be transparent between the brand owner who is getting the brand valued and the consultancy or academic who is doing the valuation. Hence “black box” models should be effectively discouraged. The debate on the effectiveness of brand valuation primarily stems from the divergent results different approaches come up with when valuing the same set of global brands. The second challenge has been the lack of business actions around the valuation number. Organizations, by integrating valuation as part of their strategic thinking, have gradually but slowly started addressing the actionability aspect. The divergent nature of results emerging from different approaches still needs addressing. The increasing popularity of the “income based approach” and its recognition by the ISO in its brand valuation standard is an indication that some form of consolidation is happening in the domain. But still a lot needs to be done to make brand valuation more transparent, reduce complexity and ensure higher levels of uptake among brand owners.